Friday’s Style: That Leopard Print Touch! I love leopard print, it’s one of the most timeless and eye catching prints of all but I often wonder why I don’t own more of this iconic print?! I’ve collected a few pieces over the years, my Louis Vuitton scarf being one of my most treasured possessions in my wardrobe. Though rarely am I attracted to the print enough for me to buy! Snake print on the other hand, well, I cant get enough. Yet I prefer cats to snakes a hundred times over. In a way, this makes wearing leopard print that extra bit special when I am in the mood for it. 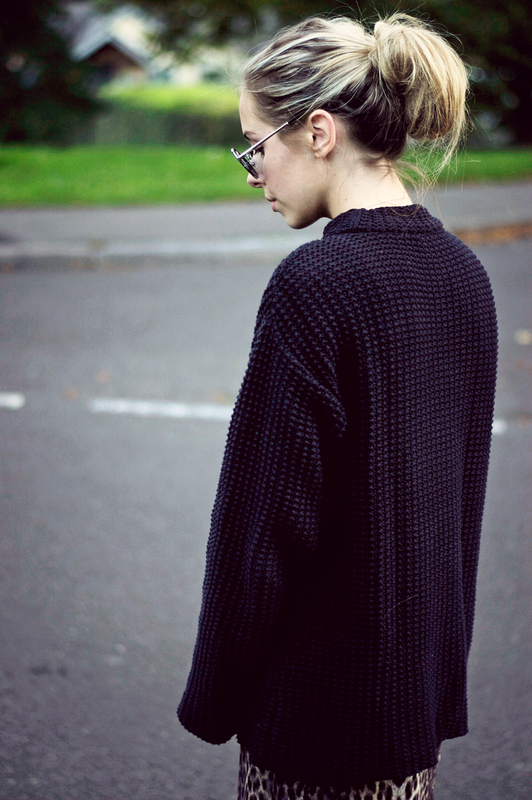 I took this old dress that was originally from Topshop and layered another golden oldie, this navy knit over the top. This created almost a leopard print hem and it was just enough. Leopard print and black is of course a classic combination that no-one can deny but I really like how well navy works too. Okay, i’m just trying to justify wearing yet another pice of navy, is it working?! I think what it is, is that I like little pops of this fierce print as opposed to anything full on in your face Meoww. 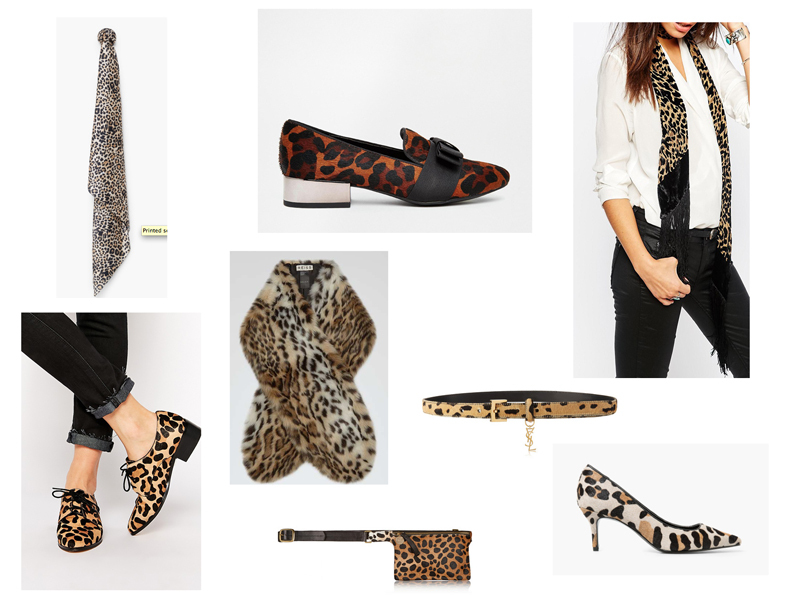 So below, I have picked some of my favourite Leopard print shoes and accessories that are out there to purchased at this very moment. My two absolute favourites are the Dune leopard brogues via Asos and faux fur stole from Reiss, yummy yummy. Take care and have a great Friday! And your sandals are so gorgeous!